If you have done bass fishing, you will already know that it is not as easy as putting a line in the water and waiting for those bass fish to bite. One of the best things about bass fishing is that it takes skill and patience to accomplish success. It is therefore significant to put a lot of things in your favor, in order to have the best chance of catching a bass. There are tips and techniques with bass fishing that can result in larger bass than you can imagine. There are bass tips everywhere but many anglers are still finding it difficult and disappointing spending all day fishing without good catch. If you are in this situation, you are not alone; a lot of beginner anglers and even professional fishermen face this situation too. Let’s take a look at some tips that will guarantee you a successful bass. 1.1 What is the Best Temperature to Catch Bass Fish? 1.2 What is the Best Time of Day to Fish for Bass? Catching bass fish is affected by so many factors such as wind and weather at that particular time, so it is highly recommended that a bass angler should know about these factors in order to have a good catch. A lot of people are often unbelievers and have a common idea of inshore fishing, where they say it is complex. Once you have the correct information on bass fishing, you will no longer have difficulty catching bass. So what are the secrets of catching bass fish? First, you should start by thinking like a bass fish. It may sound crazy but it might help you find where the bass fish are. It is also advised to buy the appropriate tackle to use when trying to fish for bass. Having the best fishing rod for your expertise (beginner or professional) will put you at a superior advantage ahead of the other anglers. A large survey of bass fishing enthusiasts found that the plastic worm is considered the most effective lure by a large margin of anglers, so when in doubt, try a plastic worm and see what happens. It is also good to speak with local fishermen if you do not know the area and ask them what they recommend. Most bass fishing enthusiasts are happy to find another enthusiast to exchange stories with. A good lure is one of the things you have to learn and be informed about. In addition, you should also know which part of the lake or brook is best for bass fish in different climate conditions. It will be different on rainy day or a windy day, early in the morning or late at night. Other factors also affect as in a crowded lake or a stable lake and many others. What is the Best Temperature to Catch Bass Fish? 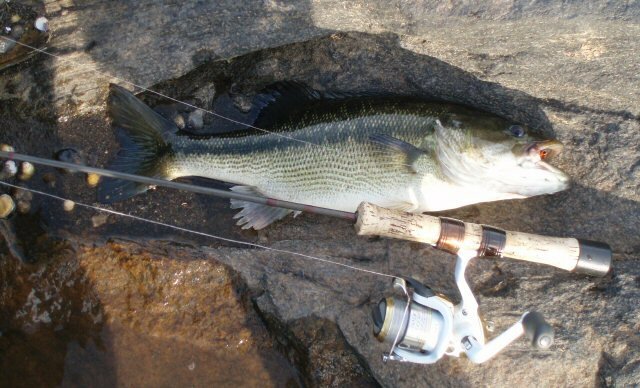 In a cool climate such as early spring and fall, bass are much more receptive to top water lures. They’re also more likely to be found in shallow water, such as along the shoreline where there are overhanging trees. When it gets hotter, bass retreat to deeper, cooler holes, and you will need to change your fishing strategy. What is the Best Time of Day to Fish for Bass? Basically, you need to dredge the bottom and use bait such as a plastic worm to get the bass to respond. The Time of day is also important, with dawn and dusk the best times to catch the biggest bass. Look for ambush spots where bass might be lurking in wait for bait fish. They like to pounce on their prey, and these bait fish are most active early morning or evening. This method works best when the water is warmer, above 50 degrees Fahrenheit, because a lot of bait fish aren’t active in cooler temperatures. It is advised to store these in a high quality tackle box that will not let them decompose or mix between each other. The quality of the water you fish also makes a difference in your bass fishing tactics. 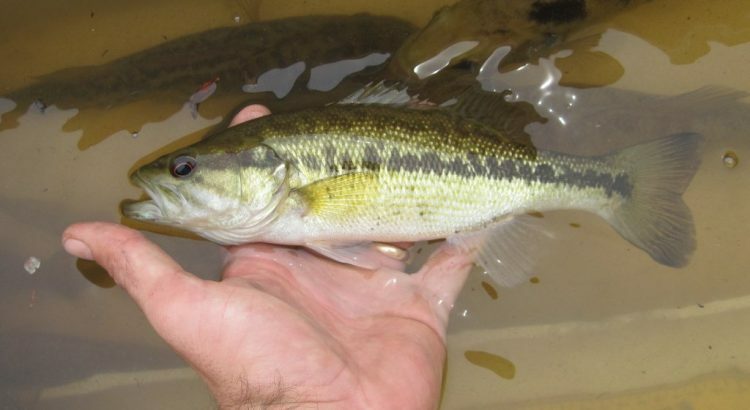 In muddy water, for example, the bass uses their sonar to locate food. So choose lures that vibrate well and maybe make noise. In clear water, however, the basses are very cautious and suspicious of something unusual. So you need bright lines and lure that look a lot like local food sources. The Spinners can work, but a black die blade will reduce the flash and will provide a better rate of success. In the normal quality of water, with algae and plankton to filter the sun, most types of lures can be used. It’s often a good idea to set up three outfits, using a different lure for each of them, to see which one work best. For example, you can use a deep diver on one, a surface lure on the next, and a plastic worm on the third. To catch the best bass fish successfully, you should know how to develop a successful bass fishing pattern. This will actually help you on your fishing trip and have a bigger bass. If you are an angler that likes to fish at night, you will need to learn the night time fishing techniques. This is the same for those that attempt to catch fish in the summer as opposed to the winter. If you are not catching as many bass fish as you would like, keep grinding and experience will follow. Improving your bass fishing strategy to something you are comfortable with will reward you time and time again. After reading this article, you should have some hints and tip to try and therefore improve your bass fishing catching methods. Bass fish is an excellent type of fish to catch as the range of bass to fish for is huge. Some type of bass fish include the Widemouth, Bigmouth, Black, Bucketmouth, Potters, Florida, Green, Gilsdorf, Owego and Southern/Northern. A bass fish can be as big as 70-80 CM with a weight of 12-13 KG and they live for an average age of 15-17 years, which is fairly long run for fish. Using the best fish finder to assist catching bass may be of great help for those that are struggling. It is a tactic used by many professionals to capture fish that many others may not be able to find.